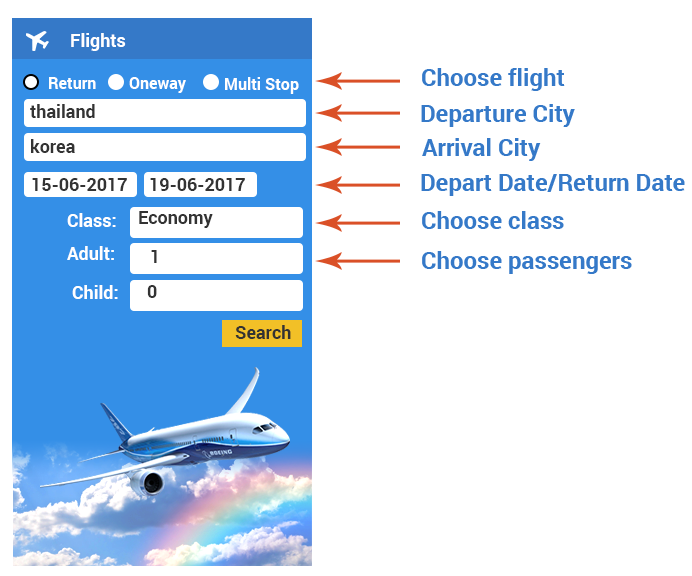 Select your destination day trips to and back followed by the number of passengers, then click "Search"
Identify the airlines that you want to travel. 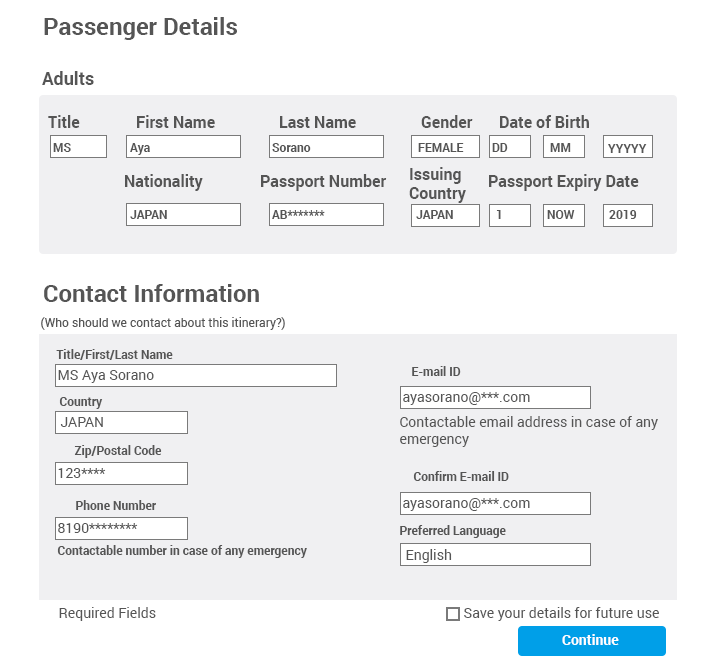 Check flight times and prices when properly completed and confirm clicking on "Book Now"
Fill out the passenger's name, nationality, passport.Then fill in your email address or phone number of a contact person and press the "Next"
Process payment online. 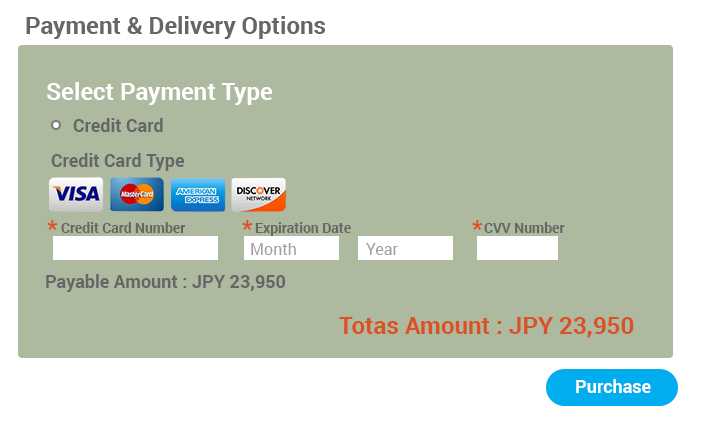 Select the payment and complete the form, then press the "Complete Booking". Print your itinerary and keep it at hand. Show the itinerary at the airport counter on your departure day.